Karen Ward is a local oddity in the Downtown Eastside. She believes that things don’t have to be this way, and that trying to change things is really important and possible. How queer is that? 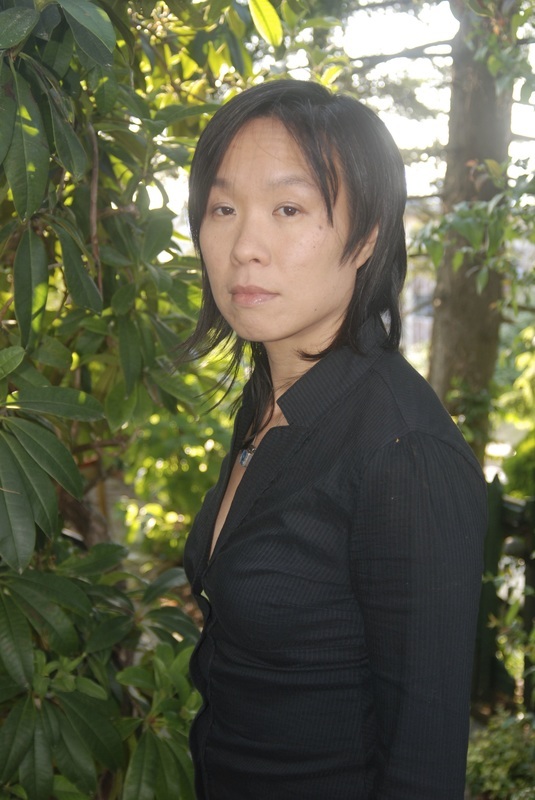 Larissa Lai is the author of two novels, When Fox Is a Thousand and Salt Fish Girl; and two books of poetry, sybil unrest (with Rita Wong) and Automaton Biographies. A recipient of the Astraea Foundation Emerging Writers’ Award, she has been shortlisted for the Books in Canada First Novel Award, the Tiptree Award and the Dorothy Livesay Prize. She is an Assistant Professor in English at the University of British Columbia. Suzanne Kilroy is awesome and never gave us a bio because she’s busy being awesome. 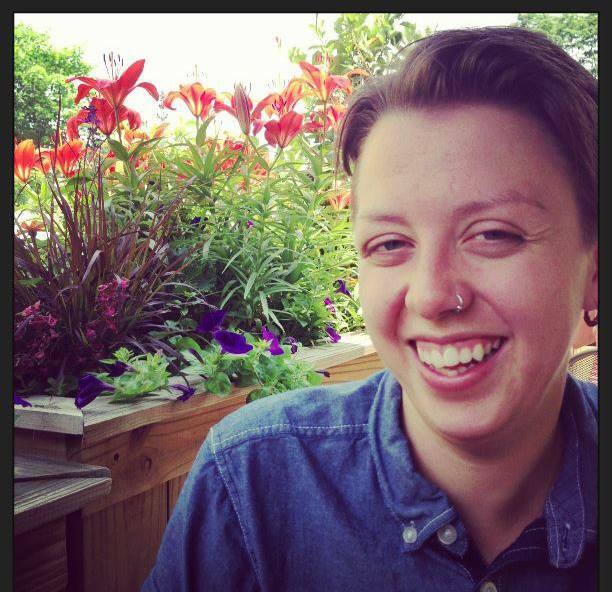 Nadine Boulay is a bookish lesbian feminist, who came to Vancouver from the prairies last year for graduate school. She is a shy butch who loves queer forms of storytelling, and refuses to choose between writing poems and writing academic essays. 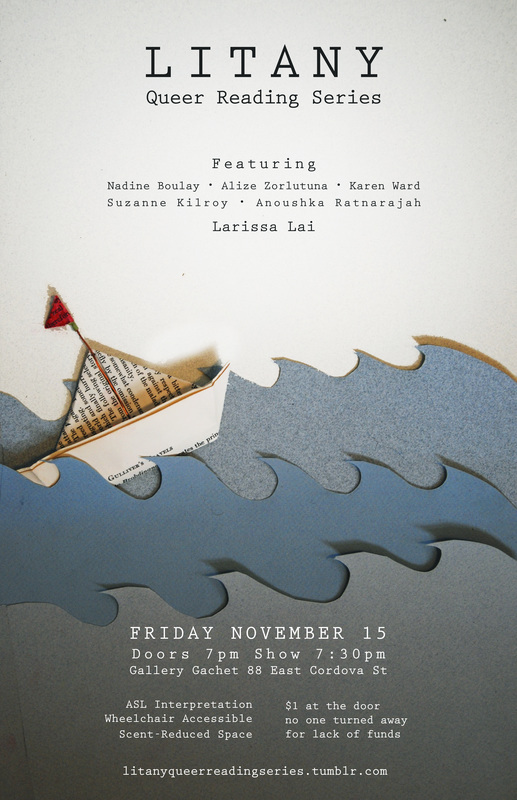 Alize Zorlutuna is a Vancouver-based artist and writer who works with a diverse range of mediums. Incorporating found objects, textiles, performance, video, poetry and audio, her work draws upon her experience as an individual living between two cultures. Negotiating multiple perspectives simultaneously, this embodied liminality informs her creative practice; manifesting in explorations of interstices. The desire to activate interstices where differing perspectives, emotions, and physical entities meet, and the meanings created in those meetings rests at the heart of her work. 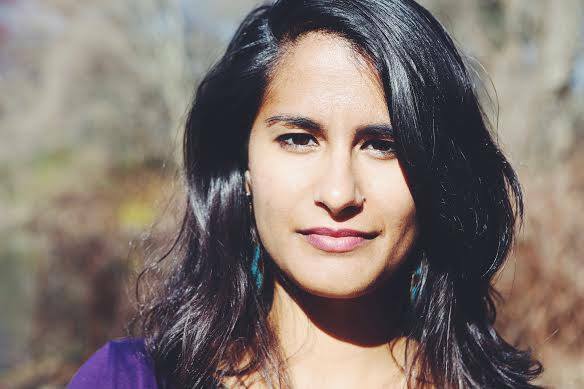 Anoushka Ratnarajah is a queer bi-racial femme, and a writer, performer and organizer. She is a founding member of vancouver based theatre troupe, Collective Hallucination, who are continuing work on “Capital, Alice!” an anti-capitalist, Alice in Wonderland musical. She is also one half of the duo film-performance and community building project, Toasted Marshmallows, which explores what it means to be a mixed race woman in north america today.